"At a bustling Christmas market full of the joyful sounds of carol singers and cheeky market sellers, five excited children come across a very special stallholder who gives them a tatty old Christmas jigsaw in return for the promise that they will find time to complete it on Christmas Eve. 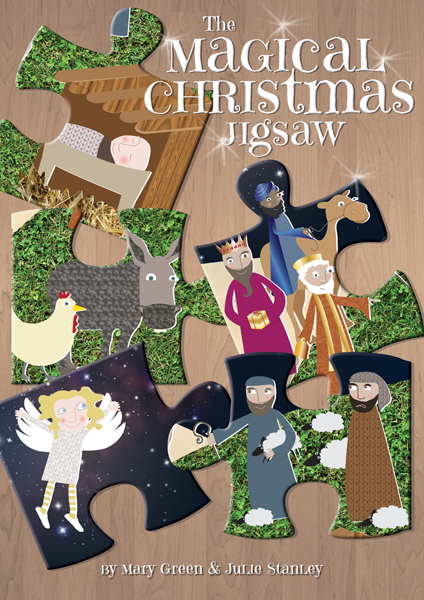 As the children gradually piece the jigsaw together with the help of a very special visitor, the Christmas story comes to life with all the traditional nativity characters." We could not be more proud of all our KS2 children! The performance on Tuesday 18th December was just phenomenal. Not one line was missed nor one child out of place; and, the singing blew us away! Well done to all the children who put their all into this performance, the first of its kind for our KS2.